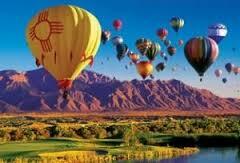 On behalf of the Payroll Professionals in the State of New Mexico, I’d like to welcome you to our web site. This site has been created to provide payroll professionals and their colleagues information regarding the happenings of the Albuquerque Chapter of the American Payroll Association (ABQAPA). We are affiliated and accredited by the National American Payroll Association. The ABQAPA is open to anyone involved in payroll, human resources, compensation, benefits, and accounting fields. We welcome you to come and learn more about our enlightened group of payroll professionals.